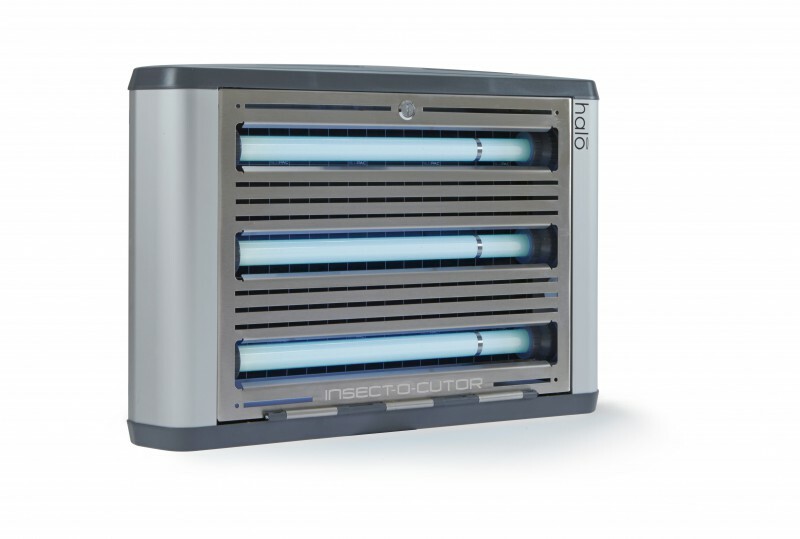 The Halo 45 Aqua insect trap covers a 120 square metre area under humid conditions. The durable flykiller uses modern technology for an increased catch. 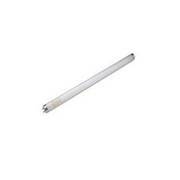 Its appealing yet discreet design makes this electric device a great addition to any room. 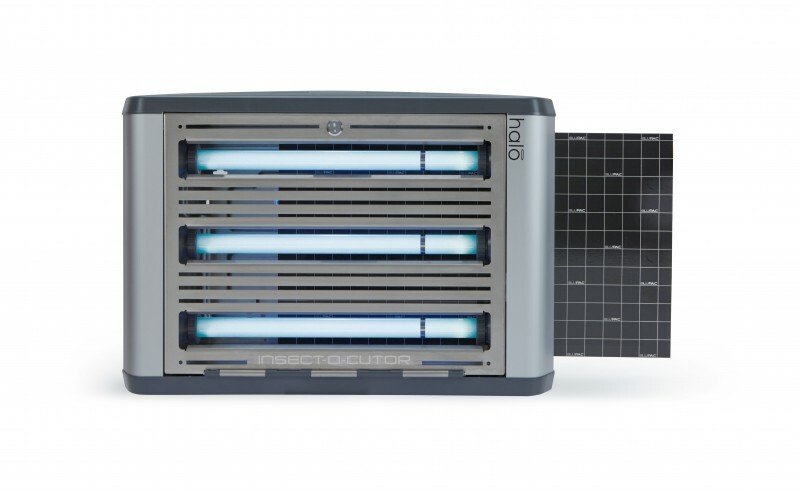 This powerful state-of-the-art insect trap is working with glueboards: Flying insects bothering us inside our homes and workplaces, such as flies, gnats, bugs and mosquitos, are eliminated in a reliable and hygienic manner. The UV light attracts insects from afar, coming closer and closer they finally stick to the glueboard behind the front guard. The devices is mounted to the wall in a horizontal or vertical position and is easy to service. The front guard can be swung down to replace the UV tubes and glueboards and clean the guard. 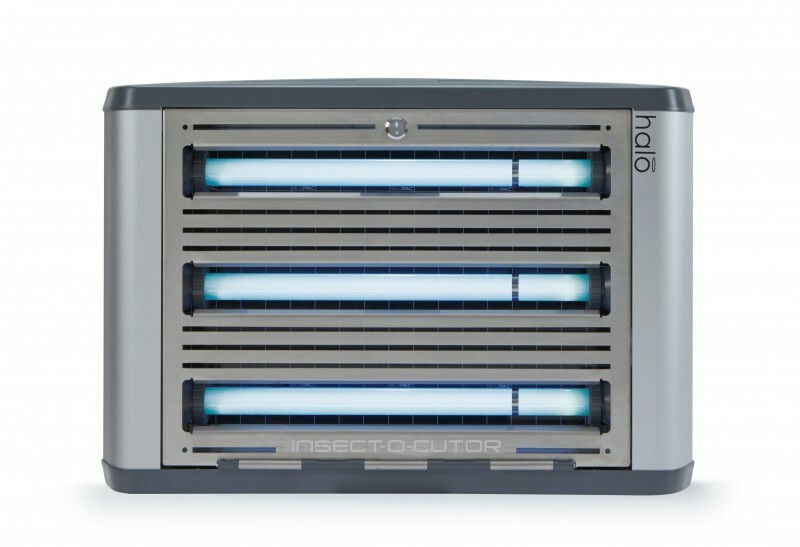 The Halo 45 Aqua flykiller is particularly suitable for commercial businesses and premises with high humidity levels, such as commercial kitchens, butcher shops, but also customer facing areas in public swimming pools. This insect trap is ideal for all rooms that may require hosing down.